Drawing together many histories--of anatomical evolution and city design, of treadmills and labyrinths, of walking clubs and sexual mores--Rebecca Solnit creates a fascinating portrait of the range of possibilities presented by walking. Arguing that the history of walking includes walking for pleasure as well as for political, aesthetic, and social meaning, Solnit focuses on the walkers whose everyday and extreme acts have shaped our culture, from philosophers to poets to mountaineers. 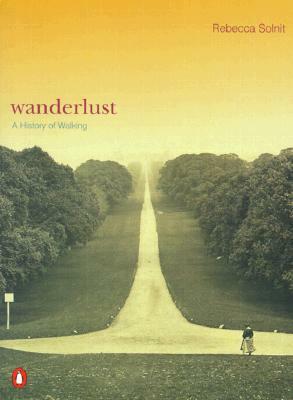 She profiles some of the most significant walkers in history and fiction--from Wordsworth to Gary Snyder, from Jane Austen's Elizabeth Bennet to Andre Breton's Nadja--finding a profound relationship between walking and thinking and walking and culture. Solnit argues for the necessity of preserving the time and space in which to walk in our ever more car-dependent and accelerated world. "Solnit is an elegant essayist . . . [she] joyfully trespasses across disciplines and genres, tracing a path through philosophy, paleontology, politics, religion, and literary criticism." "A tour de force . . . Solnit, a writer of unflagging grace, has a remarkable ability to wrest meaning from the mundane."